I recently hosted guests visiting my team and I from HM Treasury, and the Department for Business, Innovation and Skills. It was a short visit and one that reminded me of the importance of developing a Digital Britain. Stances about this in the run up to our recent General Election were surprisingly similar across all parties. The subject rarely tops the list of the voting public’s agenda, and tends not to capture the headlines either, but I believe it is imperative for maintaining and building our technology leadership across international markets. Over the past five years there have already been positive steps made by the UK government on the journey towards digital excellence, with central departments successfully implementing strategic digital services. The gov.uk website has emerged as a central resource, replacing some 300 separate websites, and creating a unique hub of advice and tools for consumers and businesses alike. Many government departments have made big moves towards digital service delivery, including the DVLA, who switched to paperless tax discs last year, and the DWP, whose new digital service to manage the Carer’s Allowance has been designed with the customer at the heart of delivery. The DVLA’s new paperless driving licence isn’t quite simple enough yet – members of the public have to generate a licence check code online if they want to hire a car on holiday (https://www.gov.uk/view-driving-licence), which may catch some travellers out in the transition period. But it’s a step in the right direction, and overall the gov.uk website is transforming many of the government’s processes. Through the high profile Government Digital Service (GDS) initiative, founded to deliver the “Digital by Default” strategy and service standard, continued investment in innovation from the government is certain. With eight live projects including voters’ registration and student loan services, and sixteen others in the testing phase, the GDS is seeking to deliver a “Government as a Platform” service whereby localised departments are interoperable. External organisations are also able to link in via APIs to provide value-added services, such as enabling customers to purchase car tax at the same time as they buy their car insurance. While this is helping the government to foster an innovative private sector, too often we are still seeing our home-grown organisations develop leading products, receive international recognition, and then get lured away to new shores. Autonomy, who were acquired by HP in 2012, and Wolfson Microelectronics from Edinburgh, acquired by California’s Cirrus Logic, have left the UK in recent years. And with promises of better support, more control and lower operational costs, it’s easy to see why. It is essential that the government makes the grass as green on our side of the fence as it is on international soil by providing better value and higher reward to innovative businesses for continuing to invest in their home country. In the short term the provision of tax breaks for medium sized organisations provides some incentive, giving them the space to scale up, but in the longer term this may not be enough. Businesses need ongoing support for their risks, and help in managing their successes, in a way that doesn’t drain their resources or restrict their movements. Having international brands developing here has a huge effect on both the economy as a whole and the lives of British people. These organisations breathe life in to the economy, inspiring start-ups, feeding innovations and sustaining complementary industries. For the building blocks of innovation to join together and create a truly Digital Britain that can compete on a global stage, solid foundations are imperative. A reliable infrastructure is vital to enable UK innovation to thrive. 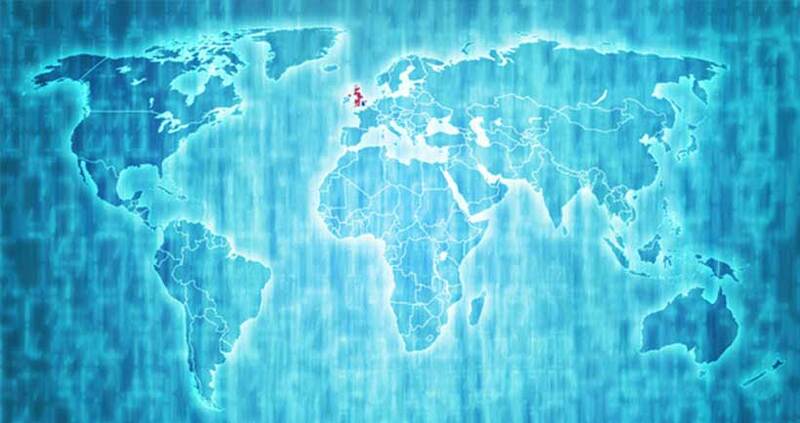 Currently the UK lies down in 18th position for internet speeds across the world, but plans to increase broadband coverage to 98 per cent by 2016, followed by ultrafast broadband in 2017, will drastically improve access for organisations and individuals alike. The focus is on local government offices to foster the skills and resources to support local infrastructure development and enable implementation of this improved infrastructure across the UK. The roll-out of GDS initiatives such as GCloud, an online marketplace for public sector tendering, and the digital marketplace that connects customers with the technology they need, are the first steps in empowering local adoption of technology. Through the public sector the wider adoption within local infrastructures will facilitate long-term growth and innovation. The future of Britain’s economic stability relies in no small part on our ability to grow world-leading technological services, run by organisations that remain on British soil, for the long term. For innovation to continue to develop across the UK, and for a truly Digital Britain to evolve, the government must ensure that a firm infrastructure, coupled with support and rewards for innovative businesses, is embedded in the fabric of Britain. This will lock talent into the British economy, enable us to retain our most forward-thinking businesses and individuals, and cement a culture of innovation across the UK that stands proud on the international stage. The benefits of Digital Britain will be far reaching, and this is why, in my view, it deserves to rise up the agenda of both the politicians and the UK public. Daryl is currently Head of Group Innovation at Nationwide Building Society. Daryl is part of IRM UK’s Enterprise Architecture Conference Europe Programme Advisory Panel. This article was featured in IRM UK’s Monthly E-newsletter. To subscribe please visit http://www.irmuk.co.uk/usefulinfo/enewsletter.cfm Please note we are always on the look-out for new contributors so if you have an article you would like published please forward it to [email protected] for consideration.